HomeMythBuster: Do We Have a “Government-Run Education Monopoly”? MythBuster: Do We Have a “Government-Run Education Monopoly”? With these words, candidate Donald Trump unleashed his K-12 education policy at a campaign stop in September, two months before winning the general election. In the speech, the former reality TV star and current President-elect vowed to spend $20 billion in federal tax dollars to encourage more charter and voucher schools nationwide. One wonders – is it true? Do we really have such a thing here in the U.S. or is it just propaganda to boost an unpopular education scheme? The devil, it seems, is in the details. The answer is both yes and no: Yes, public schools are government-run. No, they’re not a monopoly. First, let’s consider “government-run.” Everything the government does from paving the roads, to delivering mail, to protecting us from invaders is “government-run.” The military is government-run. Would you rather a foreign power tell our soldiers what to do? Congress is government run. Would you rather big business come in and decide all our laws? In that same spirit, yes, our public schools are indeed government run. But who else should run them? Russia!? The Mafia!? A media cabal? In emphasizing the role of government in education, Trump appears to be trying to stoke the fires of anti-government sentiment. There is certainly a lot of that going around, deservedly so given the way the federal government has encroached on the states, the states have encroached on local government, etc. However, public schools are not essentially federally-run schools, nor are they state-run schools. They are subject to federal and state mandates, but the major decisions about what happens in your neighborhood schools are made by your duly elected school board. They are not controlled by some nameless, faceless government bureaucracy. They’re controlled by you, your friends and neighbors – people you voted for and who are held accountable every few weeks at open meetings. It’s not Big Brother. It’s Howdy Neighbor. Let’s turn now to the “Monopoly” part. A monopoly is the complete control of the supply or trade in a commodity or service. To put it in terms of the titular Parker Brothers board game, you have a monopoly when you own both Boardwalk and Park Place – you’re in control of what happens to all the dark blue properties. However, if you don’t have titles to BOTH, you don’t have a monopoly, and therefore can’t buy houses, hotels or charge double the normal rent. Therefore, there is no education monopoly – no one has complete control of all the various kinds of schools. There are private schools, home schools, magnet schools, charter schools, even voucher schools. No one owns them all, no one tells them all what to do. Yes, you could say that the overwhelming majority of them are public schools, but so what? That’s not a monopoly. There are far more personal computers out there than Macs. That doesn’t mean PCs have a monopoly on the field. Once again, the term “monopoly” is meant to stir anti-government sentiment. We are meant to balk at the degree to which government – local government – is in control of our education system. I’m sorry, but there is nothing objectionable about schools being controlled at the local level. 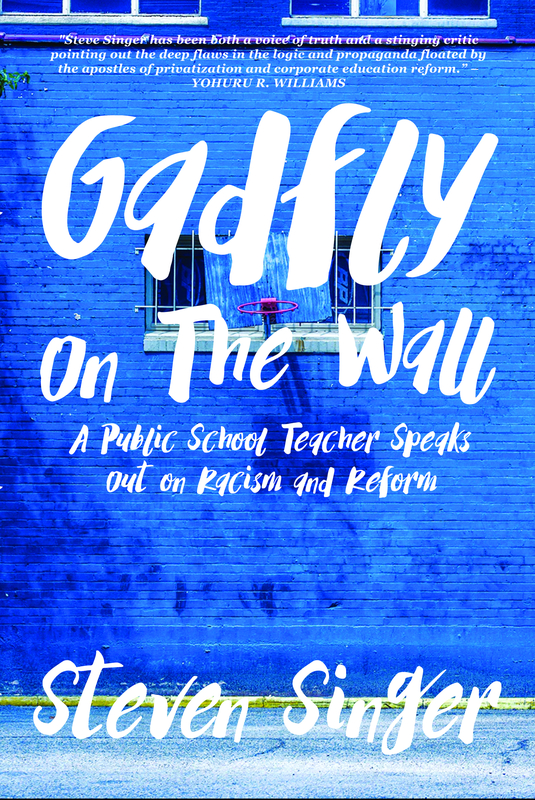 Are you upset by federal intrusions in school policy? Me, too. Are you reeling about unfunded federal mandates? Me, too. Are you angry about states sweeping in and stealing local control from impoverished inner city parents? Me, too. But I’m just not one bit upset about being allowed a say in how my tax dollars are spent at my community school district. If you ask me, that how things SHOULD BE. But Trump is proposing we change it. He’s proposing exactly the same kind of federal intrusion that drove many of us up the wall when it was done by President Barack Obama. Obama used the Department of Education to bribe cash-strapped states into adopting Common Core. And now Trump wants to do the same thing with charters and voucher schools. Excuse me, but it’s not the federal government’s job to dangle money in front of state legislatures with strings attached. The Department of Education is supposed to ensure all schools have adequate funding. It’s not supposed to tell us how we should be running our schools unless we’re breaking the law or violating students civil rights. But what about parental rights? Shouldn’t parents be allowed to choose a school for their own children? Hear me out. When you fall down the steps in your home alone, do you get to choose which governmental service comes to help you, or do you just call 9-1-1? When you need the police, do you get to choose officers from halfway across the state or make do with your local boys in blue? When your house catches on fire, do you shop around or call the nearest fire station? It’s called a community for a reason. You’re a part of it, for better or for worse. Our grandparents never thought they were so entitled they could pick and choose what governmental service should meet their needs. They joined the army, not Blackwater. They called the fire department where they volunteered. And they sent their kids to the local public school. Yes, some public schools are better than others – which is just another way of saying that some are better funded. THAT is a problem we need to fix at the local, state and federal level. That’s something the President and Congress and our Governors and our state legislatures should actually be working on. But instead of meeting the real needs of their constituents, they’re too busy with all this choice nonsense. We’re talking Donald Trump here – founder of Trump University. He just settled out of court for $25 million for a fake business school that defrauded students out of hundreds of millions of dollars. If there’s one thing he knows, it’s a good scam. Expanding charter and voucher schools, reduces accountability to taxpayers. These “choice” schools rarely are governed by elected school boards. They don’t have to abide by the same kinds of transparency standards as traditional public schools. They can spend our tax dollars in almost anyway they want behind closed doors, and there’s nothing we can do about it. In fact, there have been a rash of high profile scandals where charter and voucher operators have defrauded the public out of millions of dollars. Who wants to expand that? Criminals! Not me. I’m a taxpayer. I want a full account of how my money is spent, and most voters are with me. We didn’t just vote for President a few weeks ago. Many states held referendums on whether to expand charter schools or not. In every case, voters decided against it. But does Trump care? No way. This proposed school choice policy is yet another example of the federal government ignoring the will of the people in favor of wealthy donors hoping to further enrich themselves at public expense. It opens the door for profiteers to keep stealing our money. Hey parents, they say. Want to enroll your children in a school with little to no accountability, a school you may not be able to afford unless you spend some of your own money in addition to the tuition you get from the state, a school that can turn you down for whatever reason including race, religion or nationality, a school that may very well be no better and often much worse than a traditional public school? But they spin it, offering slick commercials and preying on the ignorant and hopeless. That weakens the traditional public schools because it means a loss in revenues. Therefore, the public schools get worse, which is a reason for more parents to try the ‘choice’ schools, etc. It’s an endless cycle where students lose but investors in for-profit schools win. Invariably, it leads to a further social stratification of schools. The rich go to the best schools, the middle class to the middling schools and the poor to the substandard ones. You think we’ve got segregated schools now, wait until Trump’s school choice policies! It’ll benefit the Nazis of the alt-right who want more white flight, but most kids will lose. Such a policy does not represent the best of America. This country was founded on the principles of working together. We haven’t always lived up to it, but our ideals are ones of shared sacrifice, community and brotherhood. Trump’s education policy is about selfishness and greed. That’s your real choice. Which will it be? The word “monopoly” is designed to pull the discussion of education out of the public sector and into the commercial sector. It’s a deliberately deceptive gambit, but it works only on people who forget or never learned the difference between monopoly, which applies to the private sector, and sovereignty, which applies to vital public institutions. The Government of the People maintains jealous sovereignty over universal free public education because a well-educated citizenry is vital to the survival of the Government of the People. The US has 98,445 individual public schools in 14,000 public school districts each owned, managed, and funded by local communities; each uniquely different in characteristics reflecting wide variations of geographic and culturally diverse populations. THIS is a monopoly? How? What one entity is the sole benefactor of the success of this system?…No one entity is the benefactor. The individual, the community, the state, the country and the world benefits. THIS is NOT a monopoly. I’m not convinced. Local school boards are incredibly constrained by federal and state mandates. Consider how many teachers, parents, and communities are against standardized testing? Consider how many folks are upset with top down mandated curricula which makes entities like Pearson and related very wealthy? Consider how many states and/or large area school districts drive scripted curricula, which teachers, students, parents, and communities find exceedingly distasteful, but are practically powerless to change it? And as far as taxpayer accountability goes… school budgeting is an absolute nightmare with a kazillion focused funding sources which in effect are partially funded mandates. As a business man I should be able to go look at a school budget, and be able to follow it, without having to spend weeks digging through the CFR in order to parse out the accounting games. Its so bad, I almost think the DOE should enact a form of SarOx regulation.,, well, no, not really as that would just add a ton of admin overhead, but it makes it pretty easy for well connected folks to skim public school funds and make out like bandits. The thing is, its not just Trump… prior education policy was about greed and selfishness too, the big difference is that the monopoly changes from one group of people to the other, neither of which really cared much about the ideals of shared sacrifice and community. Back when unions were a force to be reckoned with, they too were about greed and selfishness, but I tend to think the ideals of rank and file union membership kept things from going too far. Sadly, that has been lost… and corporations have picked up the ball, bought up all the politicians, and are having a field day at kids, teachers, and communities expense. My guess is, things will have to get a whole lot worse before folks cry uncle loud enough that politicians have no other choice but to say enough of this. The only reason we won’t have a lost generation is that individual teachers will continue to make a difference, no matter what systemic issues keep crashing down from on high… provided we can keep them. You always use such good analogies and explain everything so clearly and with such good sense. Be very clear also that this DeVos woman believes high schools should be voluntary and child labor should be allowed. She wrote an essay about this which was linked to a salon or mother Jones article. When I tried to find the article afterwards it seems to have disappeared from the internet.